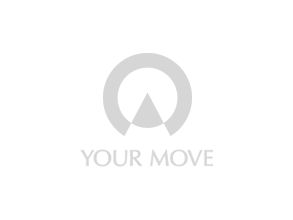 Your Move estate agents Dalkeith is a ‘One-Stop-Shop’ covering all aspects of buying, selling and lettings. Ask for a free property valuation. Dalkeith is connected to the city by several bus services operated by Lothian Buses, the local operator. Bus numbers are as follows: (3, 33, X95) which travel from Edinburgh centre to Dalkeith. The nearest railway station is Edinburgh Haymarket. Postcode for Sat Nav is EH22 1JA. There is various parking in surrounding streets off Dalkeith High Street. Residents enjoy taking full advantage of the district’s green open spaces, and in the evenings you’ll often see teams of British Military fitness devotees being put through their paces. Popular venues include Battersea Arts Centre and Cineworld. Read more in our local guide. Our Your Move Dalkeith branch covers all postcodes from EH18 to EH42 inclusive. Find out more about the services offered by Your Move Estate Agents in Dalkeith, Midlothian.